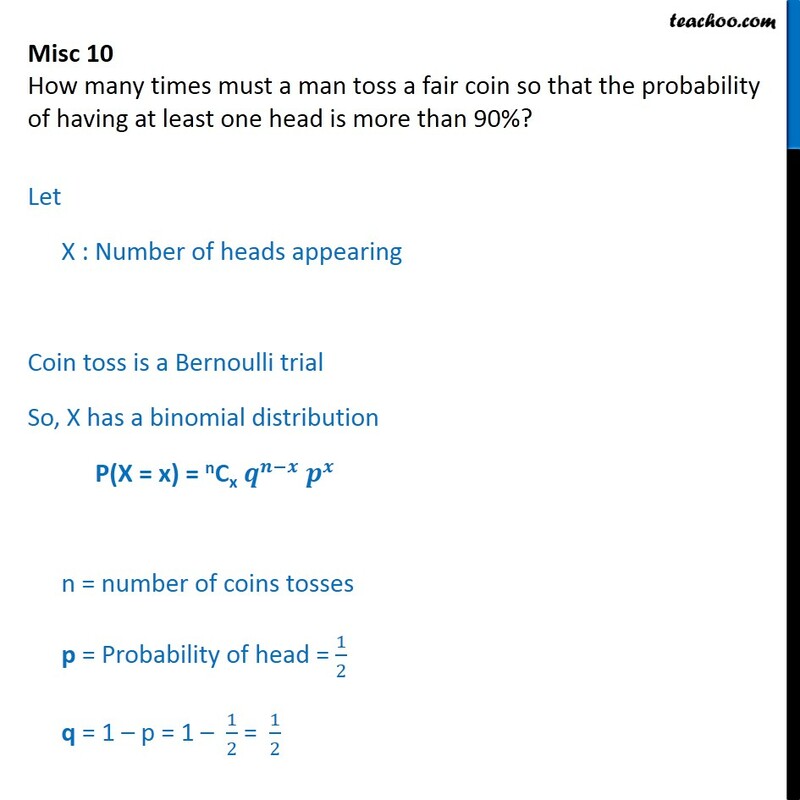 Misc 10 How many times must a man toss a fair coin so that the probability of having at least one head is more than 90%? 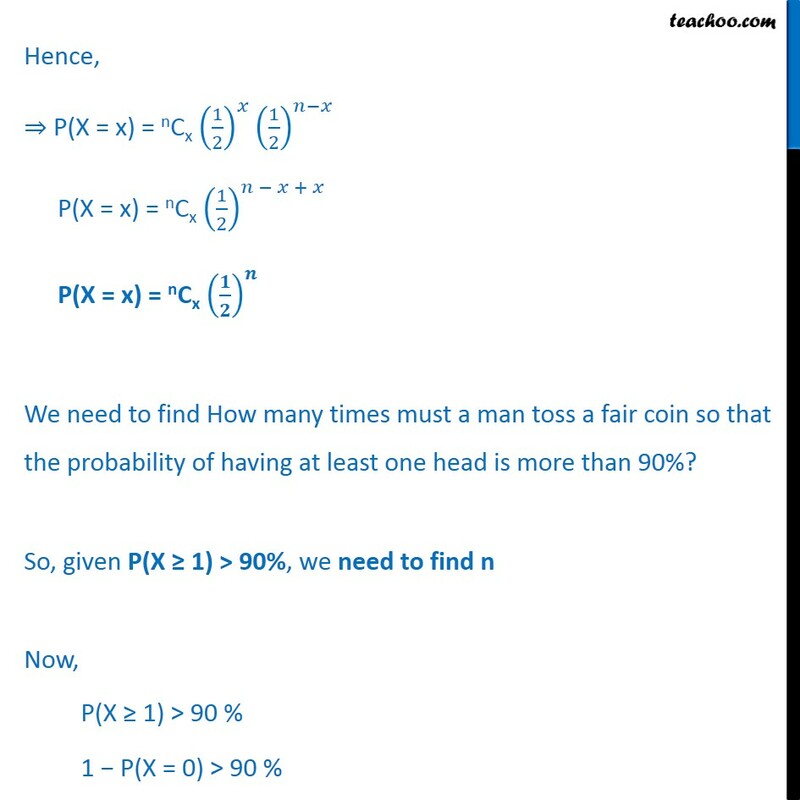 Let X : Number of heads appearing Coin toss is a Bernoulli trial So, X has a binomial distribution P(X = x) = nCx n = number of coins tosses p = Probability of head = 1 2 q = 1 p = 1 1 2 = 1 2 Hence, P(X = x) = nCx 1 2 1 2 P(X = x) = nCx 1 2 + P(X = x) = nCx We need to find How many times must a man toss a fair coin so that the probability of having at least one head is more than 90%? 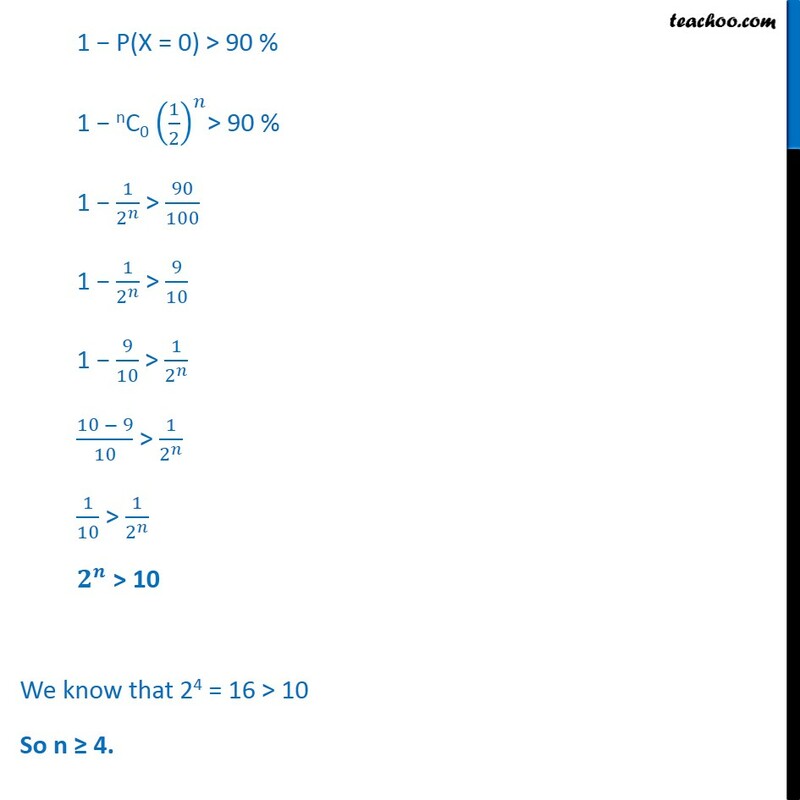 So, given P(X 1) > 90%, we need to find n Now, P(X 1) > 90 % 1 P(X = 0) > 90 % 1 P(X = 0) > 90 % 1 nC0 1 2 > 90 %	1 1 2 > 90 100 1 1 2 > 9 10 1 9 10 > 1 2 10 9 10 > 1 2 1 10 > 1 2 > 10 We know that 24 = 16 > 10 So n 4.